2009. Edited and Illustrated by Rachelle Beaudoin. 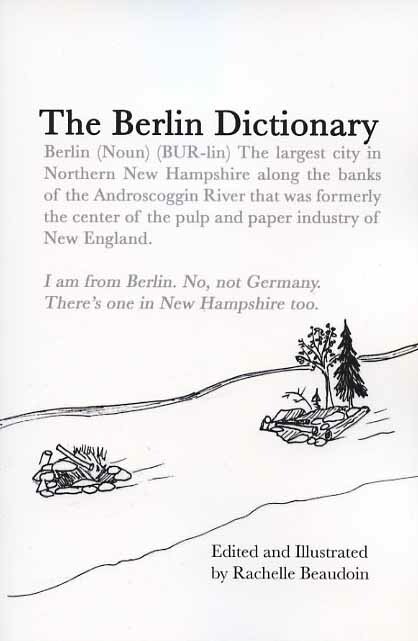 A fun participatory dictionary of unique words and language used by residents of historic Berlin, New Hampshire, once the center of the pulp and paper industry of northern New England. Includes contributions from more than 70 local residnets, many reflecting the Franco-American heritage of the Granite State's northernmost city. Book was featured in January 2011 on New Hampshire Chroinicle television news magazine. Softcover. 96 pp.